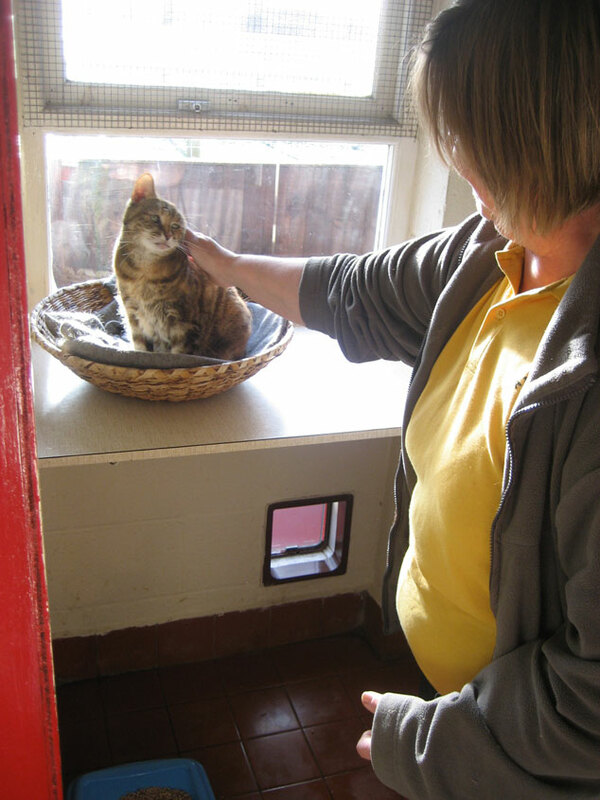 One of our guests enjoying tlc from June one of our long standing members of staff. Extra tlc is also available as an option. The spacious rooms have lots of light with large windows to look through which are south facing towards Worsley to attract the best natural light and views. You will be turned away out of hours so to avoid disappointment check opening hours before booking your pet with us. 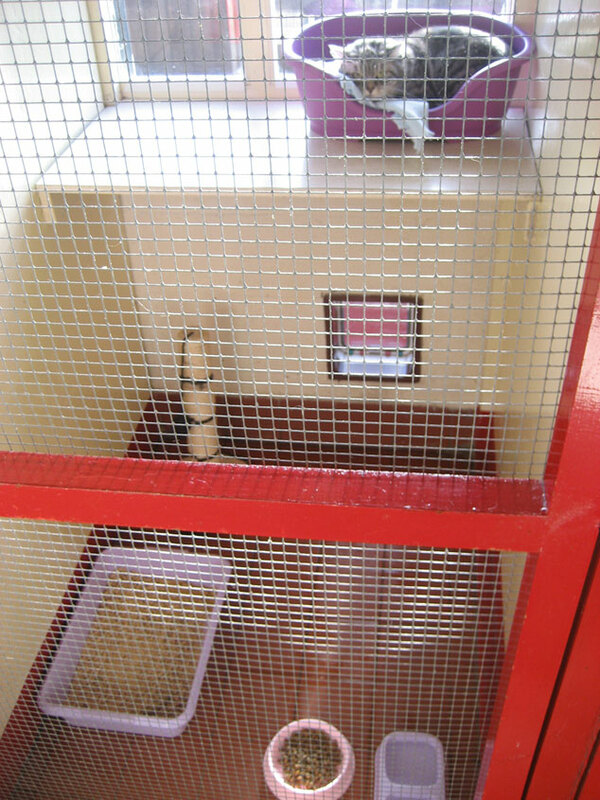 There are different levels to explore and access to a secure, covered outside play area. The cattery is heated during winter months. We aim to make your cat’s stay as comfortable and cosy as possible. 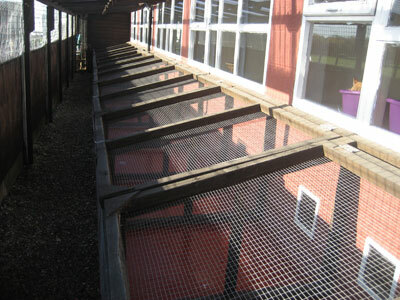 The units are cleaned daily, thoroughly disinfected and we are maintained to the highest standards. Cat litter and food is included in the price, although you are welcome to bring your cat’s usual diet if you prefer. Special needs cared for and medication given at no extra cost. Fresh water is always available to your cat. We provide baskets and you are welcome to bring your cats own bedding, toys and treats. We also accept overnight and weekend stays.